Located in Ann Arbor, Michigan, Zingerman’s Creamery was founded in 2001 as the newest edition to the Zingerman’s Company of Businesses. The creamery cut their teeth making their Real Cream Cheese®, and now specialize in making goat’s and cow’s milk cheeses, gelato, and sorbets, all in small batches, all from the highest quality local milks, sourced from small farmers who share their passion for tradition and quality. Using old-world techniques, all of their cheeses hand-ladled to preserve the delicate characteristics of the curd. They also use uncommonly-long sets to draw out a full, complex flavor and a low-heat, long pasteurization to maintain that flavor. Many a food critic have observed that if it’s got the Zingerman’s brand on it, you will be able to “Taste the Difference”, and the creamery is no exception. Zingerman’s Creamery’s best-selling cheese, Manchester is named after the town where the creamery was originally located and is crafted from milk sourced entirely from one small local farm (Calder Dairy). It’s a double cream, so pretty rich right out of the gate. 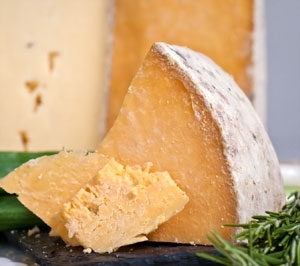 This soft, bloomy rind cheese is aged 2-4 weeks and presents a soft, velvety mouth feel. The flavor varies slightly with the season as it largely reflects what the cows have been eating. The rind is completely edible and delicious too. We found its flavor profile earthy, creamy, woody, slightly tangy and nutty, with a lingering, mouthwatering finish. 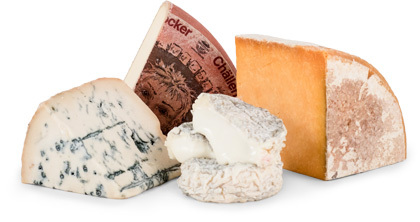 Pairing options are numerous with this very versatile cheese. We like it best paired with a spoon! Try drizzling your favorite honey or fruit compote over this cheese. It also is wonderful as a savory addition, like on a sandwich.